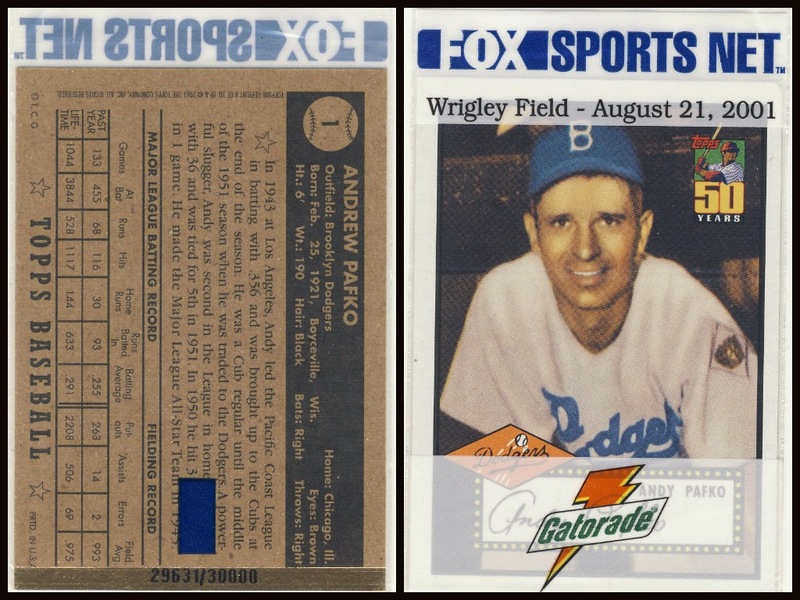 There are only a few numbered Andy Pafko cards and one of them was a Wrigley Field giveaway sponsored by Fox Sports Net and Gatorade. 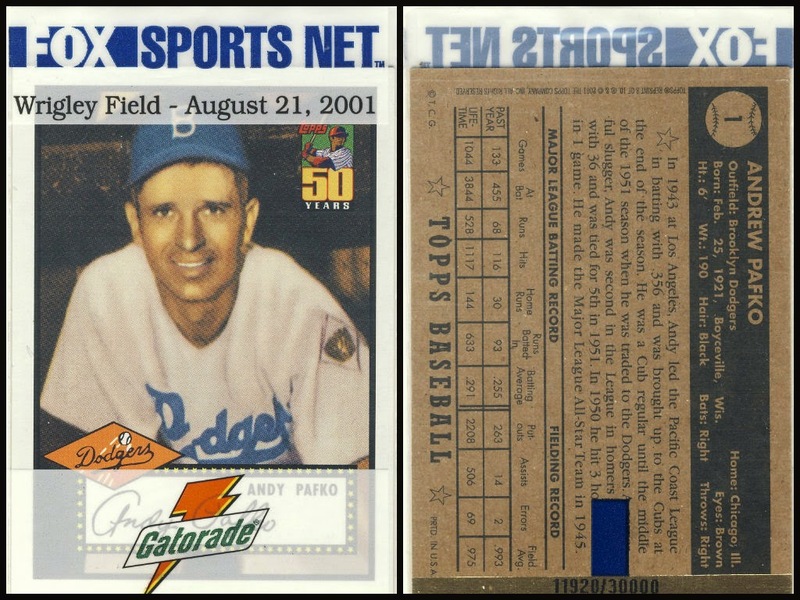 Fans got to watch the Brewers play the Cubs as well as get re-print of 1952 Topps #1...which is sort of weird considering Pafko played for the Cubs but was a Dodger on that famous first card. I've recently picked up two still -sealed copies of the 30,000 that were produced. Above we have card #29631 and below we have card #11920. I believe the number is printed on the plastic itself so once you removed it the card becomes just another reprint. Thanks to Wrigley Wax it turns out that the foil numbering is actually on the card so with or without the plastic sleeve you can tell these cards were from this promotion. The numbers are printed directly on the card, so even if you take it out of the wrapper it's still a numbered card. Thanks Wrigley, I've updated the post.